On Thursday, June 1 at 7:00 pm the Celebration Singers Youth Choir from Tucker First United Methodist Church in Tucker, Georgia will present a program of choral, handbell and instrumental anthems here at Bluffton United Methodist Church. The concert is free and open to the public. A freewill offering will be gratefully received. Everyone is cordially invited to attend. Please invite family, friends, and neighbors to join you. This 50-voice choir of Middle School & Senior High youth are on their annual Choir Tour, this year to the coastal areas of Georgia and South Carolina. The Celebration Singers, Chapel Bells & Jubilee Ringers are part of a graded choir program at Tucker First UMC which contains eighteen singing, ringing and instrumental ensembles. 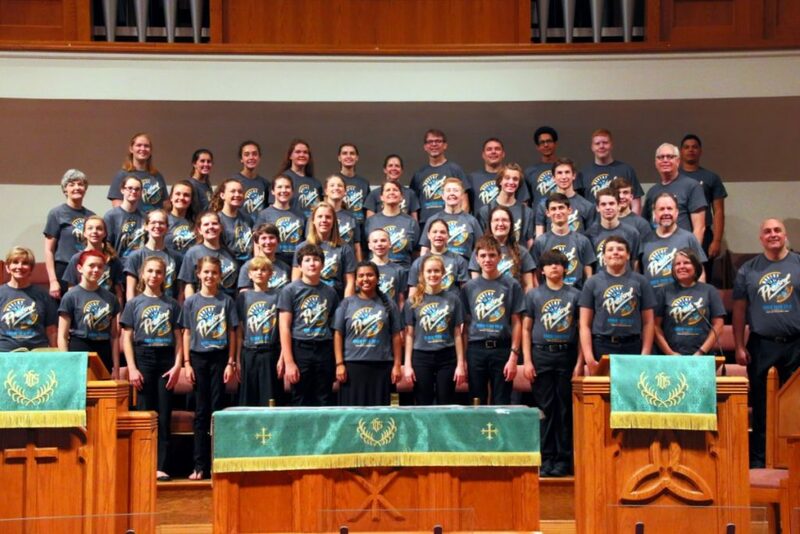 This youth choir serves their church locally, as well as touring annually. In past years they have toured Alaska, Nova Scotia, Houston, Chicago, St. Louis, Seattle, Niagara Falls, New England and most of the Southeastern United States. Ministry through music remains a high calling for these youth who are committed to serve their Lord and His Church through participation in this program. Our BUMC Youth, under the supervision of Associate Pastor Becky McCorkendale, will provide fellowship and host the dinner meal prior to the concert.